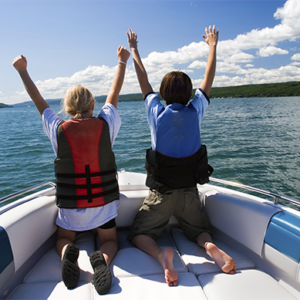 Enjoy summer on the water more knowing your boat is protected with an MMG Mariner Watercraft Insurance Policy. There’s nothing better in the world than spending time on the water— cruising on the lake, fishing with friends, spending long summer afternoons waterskiing with the kids. Ah… the memories! Unfortunately for boat owners, life is never that simple, especially when so much can go wrong, so quickly. Having adequate insurance coverage is not a luxury— it’s a necessity. Protect your piece of the world with an MMG Mariner Personal Boat Policy. Your policy safeguards the financial investment you’ve made in your boat. And it protects you against damage or injury claims resulting from accidents you may be involved in. Available credits, including education credits for completing a U.S. or Canadian Coast Guard course, among others.